BOCA RATON – Smiling, Jalen Young strolled into the postgame press conference sporting a baseball cap and a T-shirt that proclaimed his Owls the Conference USA champions. 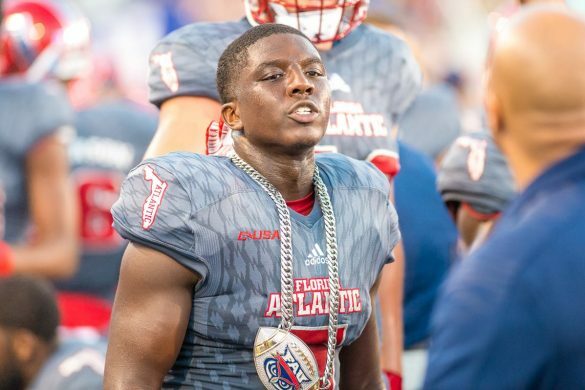 As the clock ticked away the final seconds of FAU’s 41-17 victory over North Texas, Young and his teammates raced onto the field to grab their championship swag. “It was an absolute rush to put this stuff on,” Young said. To Young, the first Conference USA title for the Owls is more of an accomplishment because of where the Owls have been. 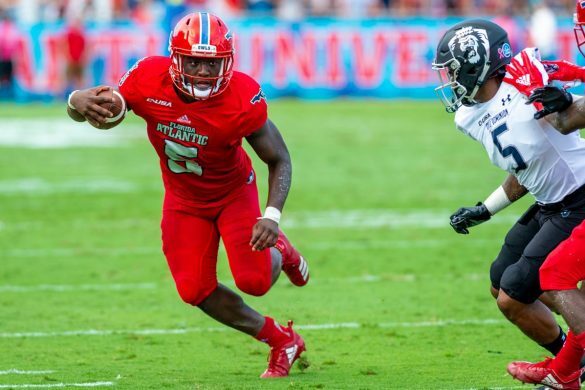 Coming off three consecutive 3-9 seasons, FAU did not even receive one first-place vote in the conference’s preseason poll. Yet here they were, winners of nine consecutive games, basking in the glow of accomplishment and receiving the respect the Owls craved all season. The victory capped FAU’s first-ever undefeated run through conference play. 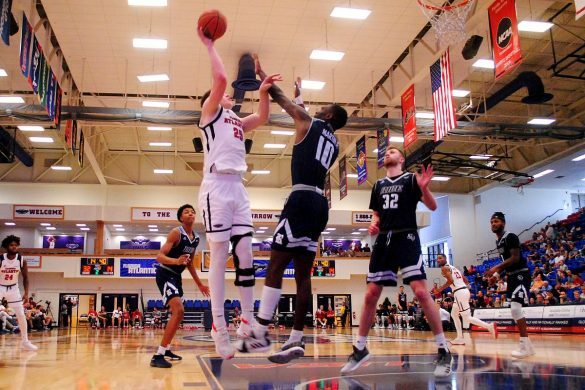 During that nine-game run FAU outscored conference foes 368-191. The Owls left little doubt they were Conference USA’s best team. 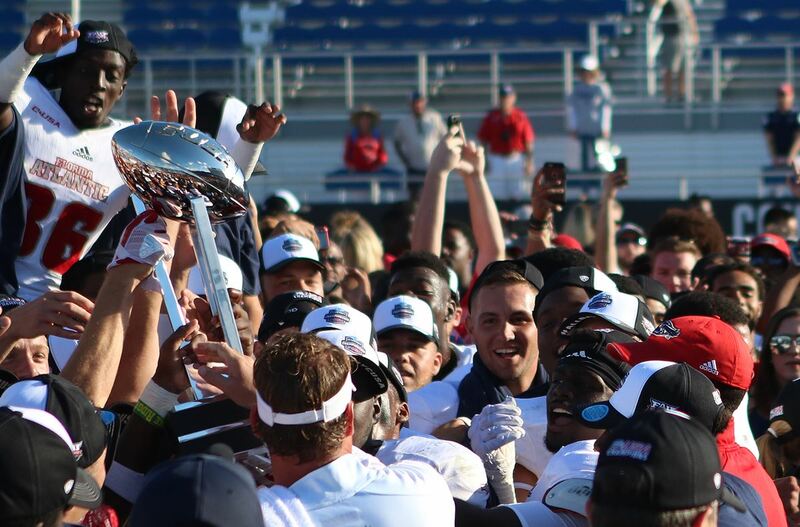 In the minutes between the final whistle and the trophy presentation, FAU players wanted to let everyone know that the title wasn’t a fluke – that they deserved to be called champions. 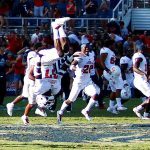 GameBrowser: FAU (10-3, 9-0) 41, North Texas (9-4, 7-2) 17. TURNING POINT: After being forced to settle for a field goal on their first possession, the Owls found the end zone on their second. Wide receiver Kamrin Solomon took the ball on a reverse and fired it downfield to John Franklin, who took the snap at center before handing it off to Willie Wright and releasing down field. The wide-open Franklin caught Solomon’s pass and easily scored. Although at that point FAU only led 10-0, North Texas never seemed to have a chance of winning afterward. Never in program history has FAU’s defense played a better half of football. FAU held North Texas scoreless in the first half, allowing only 141 yards of total offense. The Owls clobbered Mean Green ballcarriers, making a good North Texas football team look like a high school unit. Devin Singletary motored into rare air. In the history of college football, only four players have ever scored more than the 29 touchdowns he has this season. Two of the names ahead of him: Barry Sanders and Monte Ball. 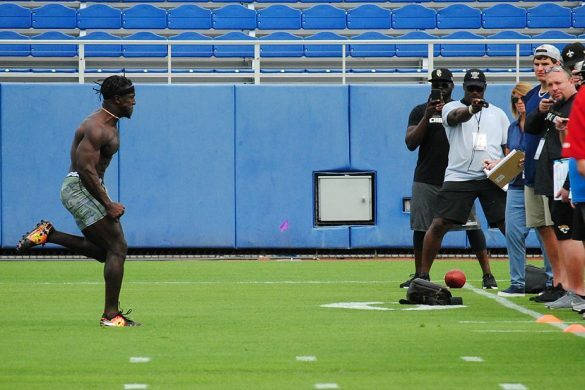 He’s tied with position coach Kevin Smith, Melvin Gordon and Mike Rozier. Some of the names he jumped with Saturday’s three scores are Derrick Henry, Jay Ajayi, Willis McGahee, Ricky Williams and Lee Suggs. 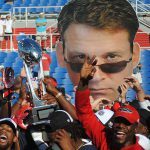 Lane Kiffin needed only one season to become FAU’s second-winnest coach in program history. His 10th win broke a tie with predecessor Charlie Partridge. The Lane Train keeps on rolling. Should the Owls win their bowl game they will tie a program record with 11 wins in a season, accomplished in 2003 during the Owls’ run to the FCS semifinals. Injuries are starting to mount for FAU. Running back Buddy Howell didn’t play because of an ankle injury. For the second consecutive week a concussion kept wide receiver DeAndre McNeal out of action. And tight end Harrison Bryant missed his second-consecutive game with an ankle injury. When will fans finally respond to the Owls. With an announced attendance of 14,258, there were plenty of empty seats – especially considering it was a conference title game. 2 – Touchdown passes by FAU wide receiver Kamrin Solomon on the season. He’s only caught one TD pass. 7 – Interceptions by safety Jalen Young on the season. He picked off two passes on Saturday. 9 – Sacks recorded by FAU, breaking a C-USA championship game record. 11 – Tackles for Azeez Al-Shaair to lead the Owls. 20 – Interceptions by FAU on the season, breaking a program record. 208 – Receiving yards for Kalib Woods, breaking an FAU single-game record held by William Dukes. 633 – Yards of total offense for FAU. 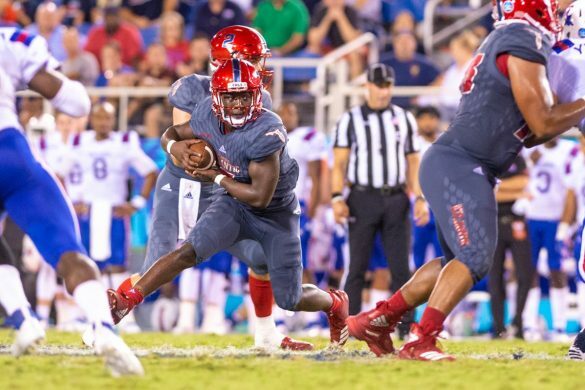 In two games against North Texas this season FAU averaged 716.5 yards of offense. UP NEXT: The Owls learn their bowl destination on Sunday.